In recent years, the development of the logistics industry is very fast. The rapid development of the logistics industry has driven the development of many other industries. The packaging industry is one of them. When packaging, you need to use BOPP Adhesive Tape Jumbo Roll. The role of the tape is to seal it. The packaging industry of BOPP sealing tape is used more, mainly because it is simple to use and the packaging effect is better. BOPP Jumbo Roll has the advantages of high tensile strength, light weight, low cost, non-toxic and tasteless. 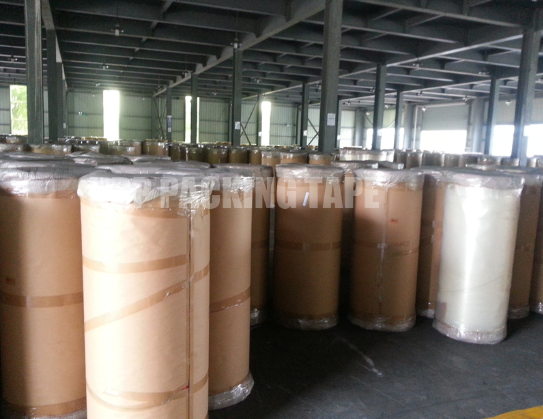 As a packaging material, BOPP sealing tape is made of polypropylene film as base material and acrylic adhesive. BOPP sealing tape principle and characteristics: sealing tape products are made of high quality substrate, high quality pressure sensitive adhesive and advanced production technology. BOPP sealing tape manufacturers indicate that these products are widely used and can be used in various The sealing of the carton and the bonding of various fine surfaces can satisfy the customer's needs to the utmost extent. 1, mainly used for product packaging and sealing, sealing and tying items. 2, suitable for a variety of packaging sealing and fixing, especially in the carton packaging sealing, and can be combined with automatic packaging machine sealing, has become the mainstream of packaging materials. 3, for sealing, gift packaging, packaging of various items. 4, can print multi-color text graphics, such as company logo, phone, name, etc., wear-resistant, no discoloration. Previous: What Kind Of BOPP Self Adhesive Printed Tapes Can't Be Bought? Next: How To Distinguish The Quality Of Acrylic Packaging Tape?